(1838, Zaandam, Netherlands -1888). He studied in Haarlem under the animal painters Pieter Frederick van Os and Wouterus Verschuur. From 1858 he lived periodically at Oosterbeek, the Dutch Barbizon, where he painted mainly animal subjects. In 1871 he moved to The Hague, where the human figure and coastal scenes assumed a greater importance in his work. 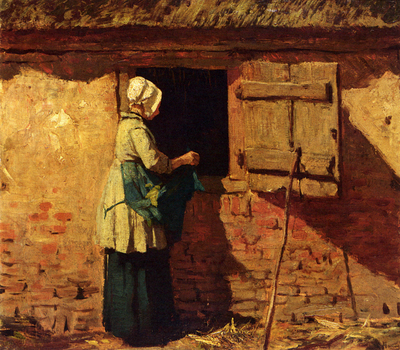 In 1885 Mauve settled in the village of Laren.